Different day, same internet problems. I think I might have to bite the bullet and unplug the modem and take it in for a replacement. I've been having to come upstairs and reset it quite often and that's getting old fast. I've checked all of the cables and everything, so I'm pretty sure the problems lies within the modem itself. Bleh! 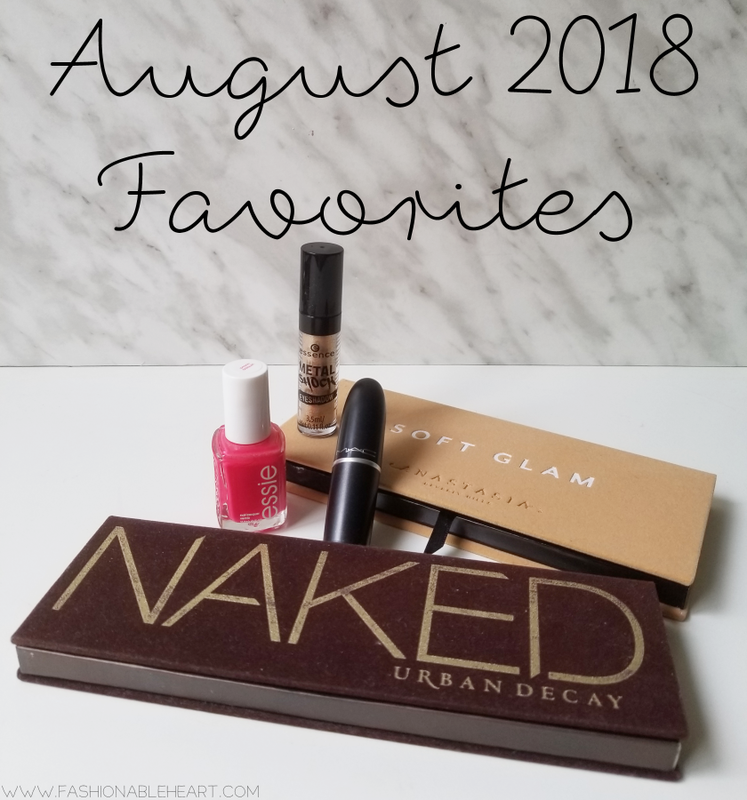 Here are a few of my favorites from August. As always, I'm never opposed to you sharing something you've been enjoying in the comments. I love finding out about something that may have missed my radar! 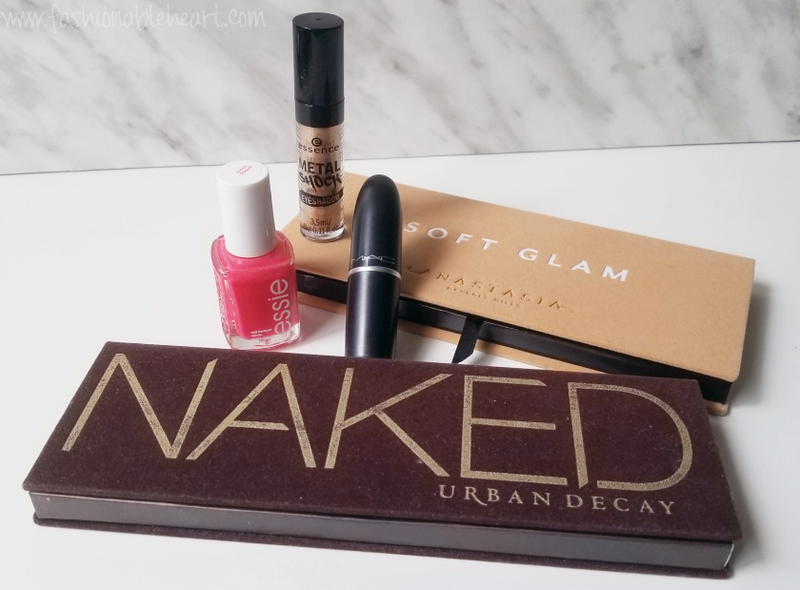 Urban Decay Naked Palette - First off, can we just have a moment of silence for this beautiful palette?! In the saddest beauty news, Urban Decay has decided to break my heart and discontinue my favorite palette. Do you need a moment? I do. If you see one and you've been interested or want a backup, grab it. They are on clearance pricing. MAC Aloof Lipstick - This is the color I picked out from MAC during National Lipstick Day. I plan on swatching it in a future post. Though it is LE, they bring back colors often. I'm happy to have this one, because I missed it the first time. You can see it on my Instagram. Essie Peach Daiquiri Polish - This is one of my faves for summer. I'm already fighting the urge to put away the brights and embrace my fall colors. I mean, PSLs are back so it's basically fall. That's what I'm going with. Don't @ me. Ha! Essence Solar Explosion Metal Shock Shadow - A beautiful gold and it works so flawlessly with both of these palettes. I have four of these shadows and plan to swatch and review them soon. So sorry to be slacking a bit in that category. Aforementioned internet problems have been the bane of my blogging existence.